Koliqi Marble Ltd - News and Blog - Latest News for Koliqi Marble Ltd.
Koliqi Marble Ltd – will be publishing stories relevant to us and our industry over the coming months. We are Natural Stone Suppliers at Koliqi Marble and a London based business who supply to clients all over the UK. One of the most established suppliers and installers of natural stone for interior and exterior architectural work, decoration, furniture and landscaping. With a reputation for resourcing the best natural stone materials, providing the highest quality workmanship and excellent service, Koliqi Marble has continued to grow and expand. We have established a firm base and an ever growing client list. 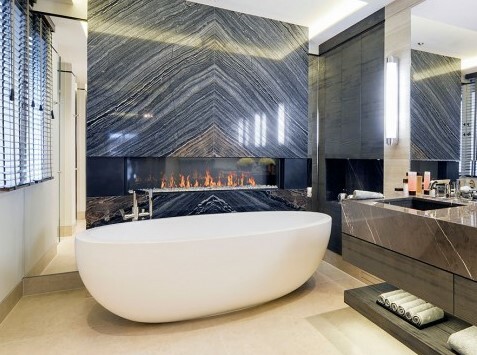 We can supply many different types of marble, granite, limestone, quartz and slate products, for use in bathrooms, kitchens, fireplaces, floors and wall cladding. We have recently moved into our state of the art premises, where we specialise in the fabrication of marble, limestone, granite, quartz and slate to both trade and the public. We hold extensive stocks of many types of marble, limestone, granite, quartz and slate. It is here that we combine the accuracy of state of the art machinery with traditional hand finishing working many different types of stone, which are then delivered and fitted. This site provides an extensive range of products and you can view products swatches for nearly every type of natural stone that we can supply and install. We provide Marble, Granite and Engineered Stone Surfaces in London and surrounding areas. If you are looking for a perfect, yet affordable worktop supplier, call us now on 0203 150 1198 or simply click here to contact us. We have a wide variety Marble Granite Quartz Worktop Swatches on show in ‘Stone Types’ to view. For inspiration and/or ideas, please feel free to browse ‘Our Projects’ page.